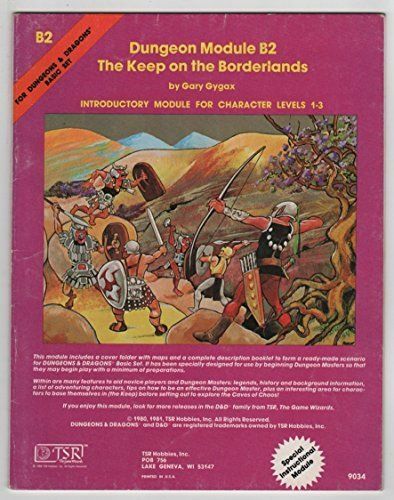 I'm always interested in different takes on classic TSR era modules especially B2 Keep On The Borderlands By Gary Gygax. There's something about its design & writing that echoes post warfare era of the module where the tides of war are coming back to the shores of the keep itself. Its my belief that the keep location is the source of the ripple in the pond of war with T1-4 Temple of Elemental Evil. "There are 69 magical items found in Keep on the Borderlands. The majority of the permanent (non-scroll/potion) magic items are in the Keep itself! Sure, that cuts down significantly on the amount of items the PCs are expected to gain for themselves, but what the hell? " Why should there be so many magic items & why the incredible number of humanoid forces in the Caves of Chaos? Because B2 was a sandbox of the highest order & Mr.Gygax wasn't into hand holding but there could be more to it then that. The keep & its environs have seen countless battles, skirmishes, & flat out pieces of warfare. If you don't believe me check out this commentary piece by the B/X Blackrazor blog; "
This explains the detailed key of the Keep, front and center to the module. The main “dungeon” is the Keep, a well-detailed, site-based adventure. Everything else is an afterthought. What’s the next section to the module after the Keep? " 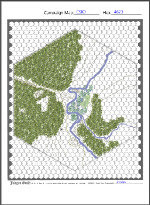 The Keep On The Borderland map kit over on Dragon's foot.org only strengthens my own resolve on this old school issue. A sandbox & warfare adventure location with a complete feel for the keep & its surroundings. 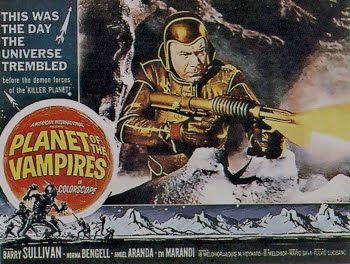 There's a sense of isolation & dread about B2 that friends have made a comparison to the isolated lone frontier location in a 50's Western film when the natives are closing in. "He was concerned only with the naked fundamentals of life. The warm intimacies of small, kindly things, the sentiments and delicious trivialities that make up so much of civilized men's lives were meaningless to him. A wolf was no less a wolf because a whim of chance caused him to run with the watch-dogs. 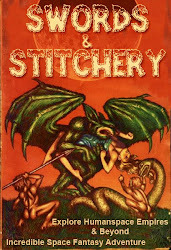 Bloodshed and violence and savagery were the natural elements of the life Conan knew; he could not, and would never, understand the little things that are so dear to civilized men and women." B2 Keep of The Borderland has always reminded me of Robert Howard's Beyond the Black River written in 1935. It reminds me of the novella because I kept expecting to find other ruined keeps scattered along the borders of a wide wilderness. A wilderness whose time has come & swallowed up whole the remains of civilization long past its prime but whose evil cults & influence continues to rise again. The B2 "The Keep on the Borderlands" index has a ton of free resources & OSR commentary that can really help to customize & flesh out B2 for your own home table. 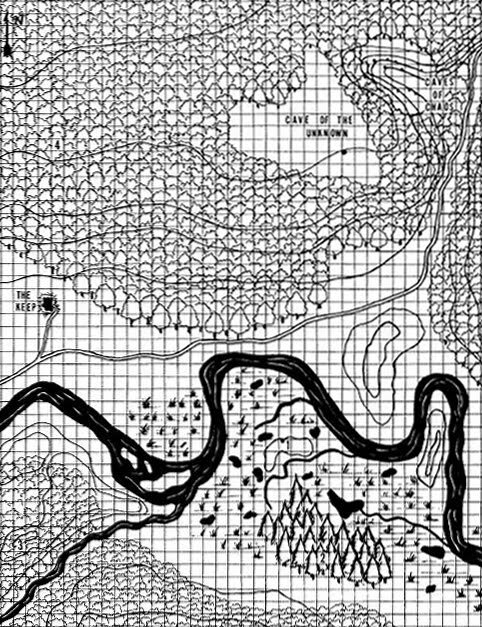 The Zenopus Archives site has some excellent free OSR resources on it for fleshing out & using B2 Keep on the Borderlands for a home game. I've gotten spoiled using many of the OSR resources on the internet for B2. I'm going to be employing the module background fairly soon in my own home game & wanted to share these same resources with you my readers. Yes this is going to be warfare & take over game with the temple of elemental evil marshaling its forces from the depths of the wilderness! Chaos is on the move and about to take over everything if they can get away with this!